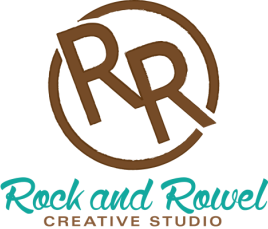 Your investment with Rock and Rowel Creative Studio begins with you! What do you need to help improve your business? Is it business cards? Decals for a stock trailer? A banner for an upcoming sale? Something custom? the creative hired hand you've been searching for. You don't get a second chance to make a first impression. Start from the ground up with a stunning logo created by Rock and Rowel Creative Studio. Together, we will create an eye-catching logo for your business. "Old School" advertising is still cool! Trust me–this is where it all started for Rock and Rowel Creative Studio. I will work with you to make your vision come to life with pictures, graphics and more. Looking for new ways to promote your business beside print and web? Vinyl decals are the answer! I can create decals for pickup windows, stock trailer, car windows, end gate, wall in your kitchen, a cooler–you name it. I use the best quality vinyl I can find that is rated to last up to 6 years outside. Some will last even longer! Be a "walking billboard" for your brand! I have created many shirt designs the past few years–and quite the variety of designs. I'll help you through the process of picking the shirt, printing style and more. Some apparel can be processed in-house, while others are sent to a local shop to finish the process. I'm here to help make your special day look wonderful! Sometimes the invitations are an overlooked process, but really, they help set the theme and the "mood" for your event. Let's work together to create a wonderful piece that can mix right in with your decorations for the special event. The life of a cattleman leads to so many wonderful pictures! From calving to brandings, to ranch rodeos and more. They say, a picture is worth a thousand words. Visuals are a great way for customers to help understand your business, and tell your story. Are graphic designers worth the investment? YES! Ready to get started? View pricing options here, or request a quote here.